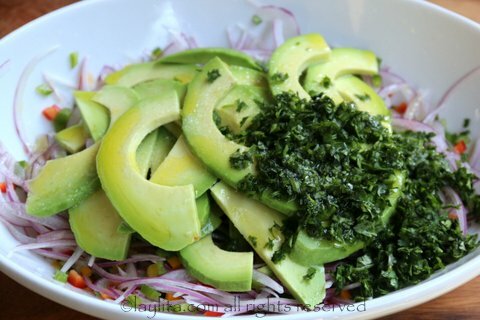 This chunky avocado salsa recipe is one of my favorite toppings; it can be served with regular corn chips or with patacones/tostones (green plantain chips). 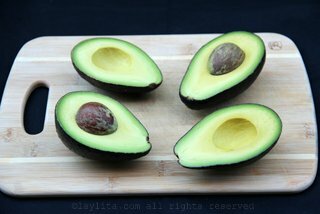 I also love it as a bruschetta topping for grilled garlic bread or garlic toast. 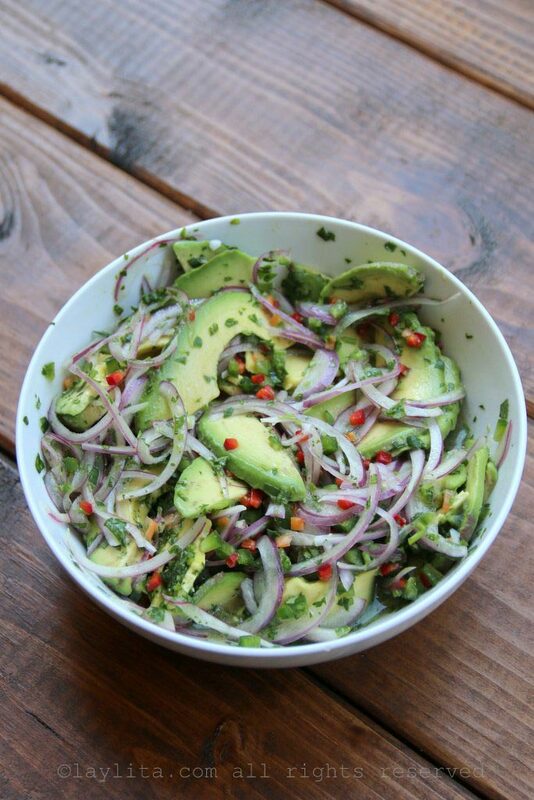 It can also be served as a basic avocado side salad for a variety of main dishes, from grilled fish to grilled shrimp or grilled chicken. 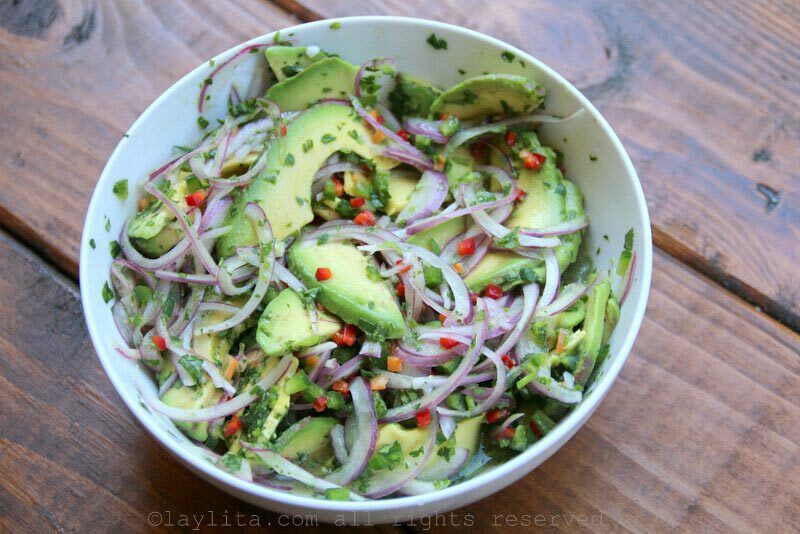 Recipe for chunky avocado salsa made with ripe avocados, onions, hot peppers, lime, olive oil, and cilantro. 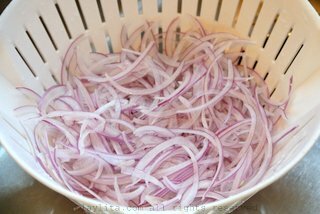 Sprinkle the red onion slices with some salt, rub gently, and rinse well with cold water. This will help remove the bitterness from the onions. 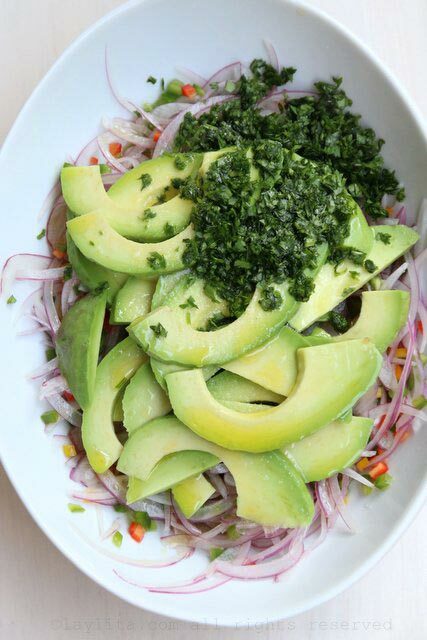 Combine the sliced or diced avocado, red onion, hot (or sweet) peppers, cilantro, lime juice, olive oil and salt in a bowl and mix well. Serve immediately or keep refrigerated until ready to use. 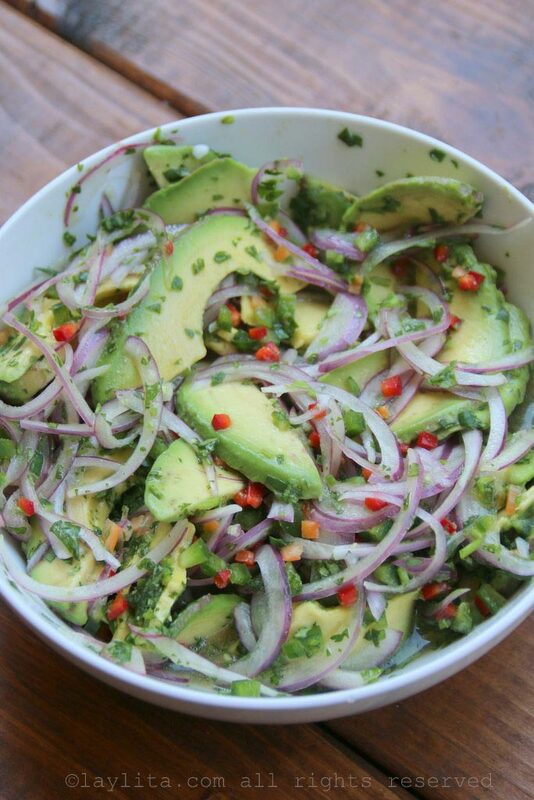 Serve the chunky avocado salsa a topping for chips/bread or as a side salad. 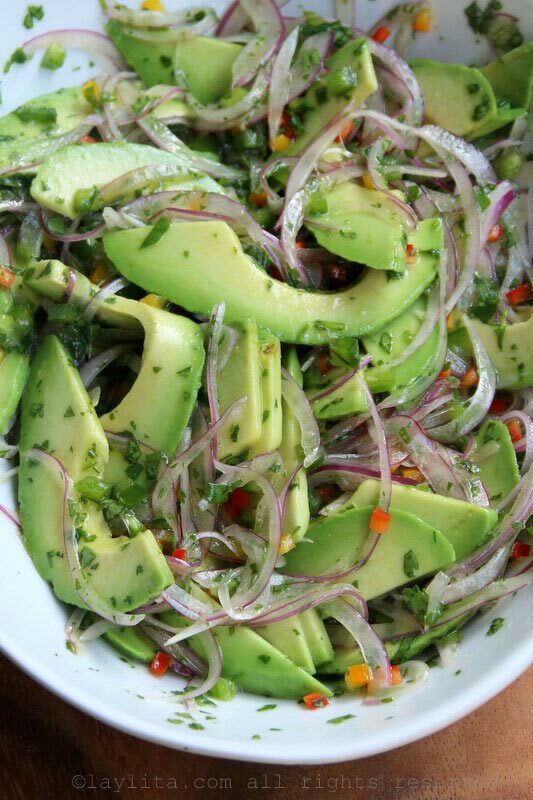 Also goes great with grilled fish, shrimp, pork, or chicken. 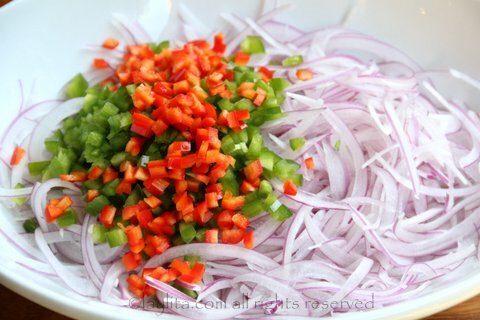 I recommend washing the sliced red onions with some salt and water, we do this frequently in Ecuador to help remove the bitterness/strong flavor from the onions. 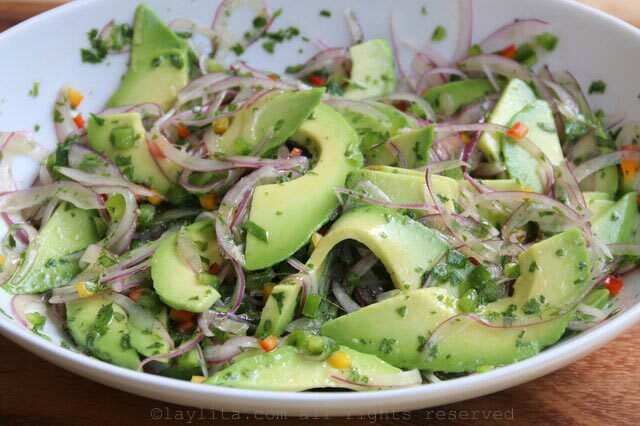 Of course, if you are using onions that are very mild and on the sweeter side, then it is less necessary. 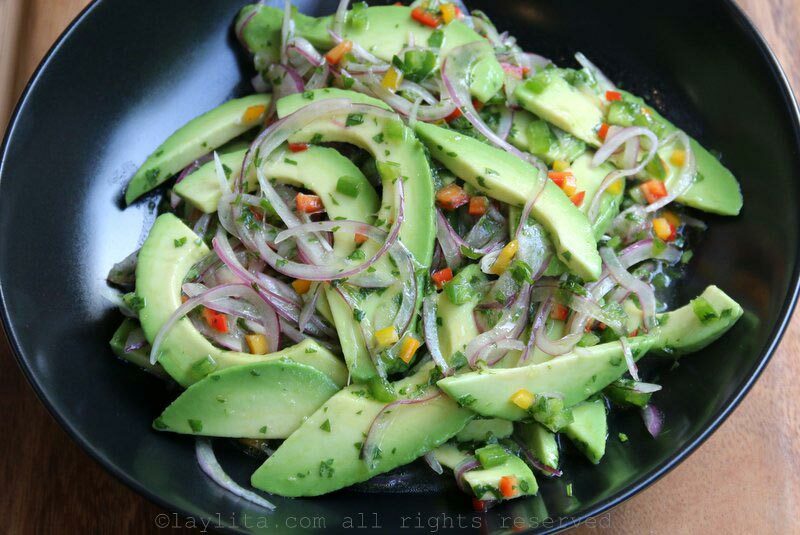 I like to add spicy hot peppers to mine, but for a non-spicy variation of this avocado topping you can use mini sweet peppers, they will still add some nice crunch, sweetness, and a touch of color. 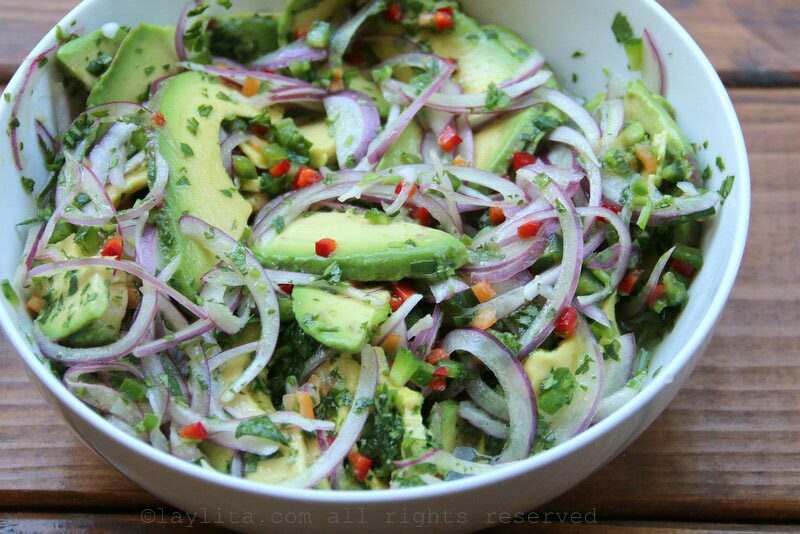 This chunky avocado salsa is very easy to make and can be prepared in advance. Laylita, I just want to tell you how much “I LOVE YOUR STYLE”. You are amazing. Great food, great style, great pics. Love getting your email updates with new stuff.